With this book I struck gold–an absorbing historical mystery in the English country house genre with great characters and atmosphere. It takes place just after World War I in Wiltshire, at a crumbling old manor house with the spooky name of Easton Deadall. The story is told from the point of view of Laurence Bartram, a World War I veteran and architectural historian whose specialty is church architecture. Bartram’s been called in by an architect friend to consult on the creation of a maze to honor the village men who died in the Great War and on the restoration of the old church on the property. Right away Bartram’s drawn into the family tragedy: the disappearance, 13 years earlier, of 5-year old Kitty Easton, daughter of Lydia, widowed owner of the manor. 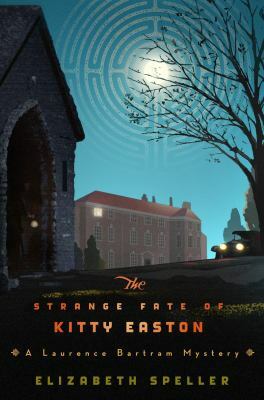 Kitty’s unsolved disappearance is still fresh and wounding; the Easton family is riven with subterranean anger and jealousies. Bartram’s own life is haunted by the loss of his wife and unborn child and he’s suffering from the aftereffects of his horrific trench warfare experiences in France. The spectre of the war hangs over the novel–almost all the village men were killed in a single battle in France, leaving the village in the hands of grief-stricken women and men too old or unable to fight. In good country house mystery tradition, there’s plenty of intrigue, gossip, and secrets (personal and architectural) revealed, as well as dead bodies. I found that many of the characters stepped off the page: besides Bartram, the architect William Bolitho and his wife Eleanor were especially compelling. Speller has all the elements right. If you’re not entirely clear on the outlines of the country house mystery, there’s a good explanation here. This is the second Laurence Bartram mystery–I’m eager now to read the first one, The Return of Captain John Emmett. This entry was posted in 2012 Fiction, England. Bookmark the permalink. Just to say how grateful I am. I’m in the last week or so before my deadline for next book so such a positive response to this book could not have been better timed for morale! I very much enjoyed other sections and reviews on your site (especially as I wrote a memoir myself a few years ago!). So, thank you ! So sorry to be responding so late; your comment didn’t come to my email, for whatever reason. Good luck with your next book–I’ll watch for it. Bartram is a great character!